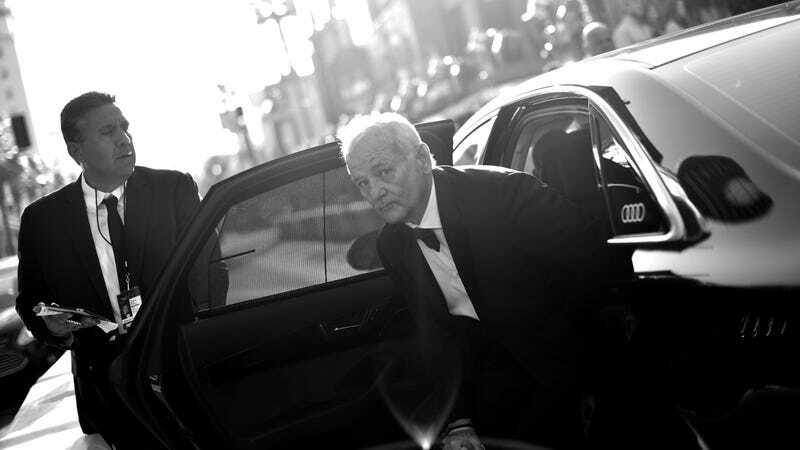 As a general rule, we’re going to say steer clear of Bill Murray if you happen to spy him out in public. He doesn’t seem like the Tom Hanks type who would love to be in your wedding picture selfie. Last year, the Chicago Tribune reported that Murray had an altercation with a man who took a photo of him at a meet-and-greet after a concert, and a woman who wanted a photo with him. This week, Murray apparently got into it with a photographer at a club in Martha’s Vineyard, allegedly grabbing him by the back and pouring water over him and his camera. The Boston Globe has all the details, mostly based on an interview with the photographer, Peter Simon (longtime Vineyard fan Carly Simon’s brother), and the police report. Simon says he’s a well-known photographer in the area and was “on assignment taking pictures for The Martha’s Vineyard Times at Lola’s in Oak Bluffs,” especially of the band playing, The Marotta Brothers Band. Suddenly “he felt someone grab him from behind, turn him, and slam him up against a door.” He says that that someone was Bill Murray, using an expletive and threatening to throw him out of the bar. As we can only imagine happens all the time in Martha’s Vineyard, the resulting trash talk opened with Simon asking Murray, “Do you know who I am?” Followed of course by Murray asking Simon, “Do you know who I am?” Simon didn’t at first, as he told the Globe that Murray “doesn’t look anything like he used to look” (some solid shade, there). Later, as Simon sat at the table, he says that Murray poured water over the photographer and his camera. From here, the he-said, she-saids fly fast and furious. Club owner Katherine Domitrovich says Simon is in general “annoying” and is no longer welcome there. According to the police report, local police told Simon he could “take out a criminal complaint for assault and battery at the Edgartown District Court,” but he is considering a lesser charge of disorderly conduct. Murray, unsurprisingly, has made no comment. But honestly, if we saw him out at a nightclub somewhere, we might head in the opposite direction just so that we wouldn’t be tempted to bug him for an autograph—much as we love Groundhog Day.